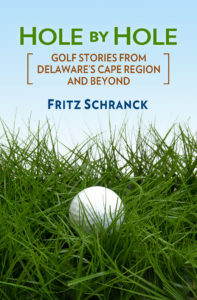 Cape Region golfers have many local opportunities to learn and improve their game. All the local PGA private club professionals teach non-members and members. Public course PGA pros also offer lessons, and there are a few unaffiliated PGA teaching pros in the area. Here are some of the local options, not in order of any preference. More details are available directly from the pros. Head pro Bob Crowther and his assistants Sean Fischbeck and Dave Moran teach at Cripple Creek Country Club, 302-539-1446. A $60 fee pays for a videotaped hour-long session that also includes a “computer coach” printout, comparing the student’s swing to an ideal swing. Sessions without videos cost $45. Crowther also does group clinics, but the club’s junior sessions are restricted to members. Jim Powers teaches at Midway Par 3. The former Sussex Pines pro can be reached at 302-644-0521. He gives group sessions for Del Tech and the Sussex Family YMCA, as well as private clinics. The Y’s programs include juniors, and all clinics last at least an hour. Individual lessons take a minimum of 30 minutes. Jim Kealey is the club pro at Shawnee Country Club, 302-422-7010. His private sessions run for 30 minutes, and cost $35. Kealey’s group lessons are limited to 3 to 5 students, last at least an hour, and cost $50 each. Junior clinics are limited to members. Butch Holtzclaw gives individual lessons at The Salt Pond, 302-539-7525. The head pro’s one-on-one sessions cost $30 for a half-hour to 45-minute lesson. Small group lessons and ladies clinics are also available. Head pro Chris Popoli and assistant Victor Creamer are ready to help at Sussex Pines Country Club, 302-856-3363. Individual sessions take 45 minutes to an hour, and cost $30. One- to 2-hour sessions are for groups of up to 10 per professional for $30 per person. The club’s kids’ camps begin June 21. Juniors must be sponsored by members, but don’t need to be members themselves. PGA teaching pro Pete Oakley is busy with his new course construction, but will always make time for lessons, 302-645-5368. He charges $40 for a half-hour and $70 for an hour. Long game work takes place at Midway Par 3’s driving range, and short game instruction is given at Kings Creek. Small group sessions are also available. Ty Mayers and his assistant Dave Jones teach golf at Kings Creek Country Club, 302-227-8951. Individual sessions are 45 minutes long and cost $35. They’ll do group lessons for up to 12 students for 75-minute sessions. Mayers and Jones also offer extended and advanced junior clinics during the summer. The driving range at Baywood Greens will soon open, and head pro Tim Mumford will offer lessons at the new course, 302-947-9800. Mumford limits his teaching to one-on-one sessions. The $30 fee pays for a minimum half-hour session. Steve Smith and his assistant, Jason Diamond, oversee an extensive program at the Golf Park at Rehoboth, 302-227-2500. Private sessions are 45 minutes long and cost $45. On request, they’ll do group lessons of up to three people for an hour, for $30 each. Senior clinics are held on Tuesdays from 1 to 2:30 p.m., and ladies clinics are scheduled for the same time on Wednesdays. Smith and Diamond will soon begin their one- or 3-day sessions for juniors. Rehoboth Beach Country Club, 302-227-3616, limits its teaching sessions to members and member’s guests. Head pro Ron Barrows and his assistants, John Wallett and Rich Durham teach individual sessions for 30-45 minutes each. Barrows and Wallett charge $45, and Durham charges $30. They also run special clinics for ladies and juniors, as well as small group sessions. 1998 Masters and British Open Champion Mark O’Meara will be coming to Rehoboth Beach Country Club June 21 for a golf exhibition. Sponsored by Toyota, the proceeds benefit the DSGA Scholarship Fund. Tickets are $20 for adults and juniors 18 and under have free admission. Call 302-227-3616 for more details.